A field of spike-like structures rise up over two miles from the outer edge of Saturn’s B ring in the amazing image above, captured by Cassini during Saturn’s spring equinox in August 2009. 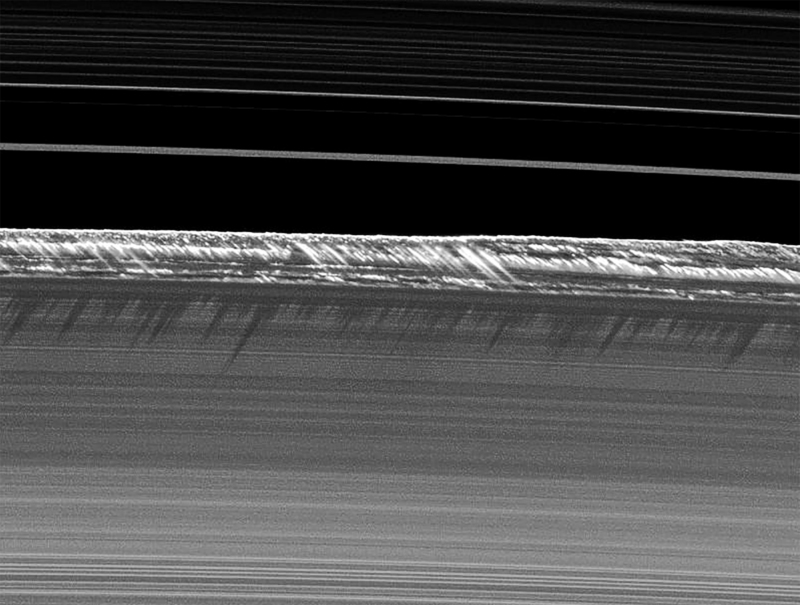 These pointy perturbations are caused by the gravitational nudges of tiny (~1/2 mile) embedded moonlets traveling around Saturn within the B ring, causing fine icy particles to “splash” upwards from the otherwise relatively flat ring when they pass by them. The moonlets themselves are held in their orbits by the gravity of Mimas. The spikes were made visible mainly because of the angle of illumination at the time of equinox, which on Saturn occurs every 15 years and in this instance was on Aug. 11, 2009. 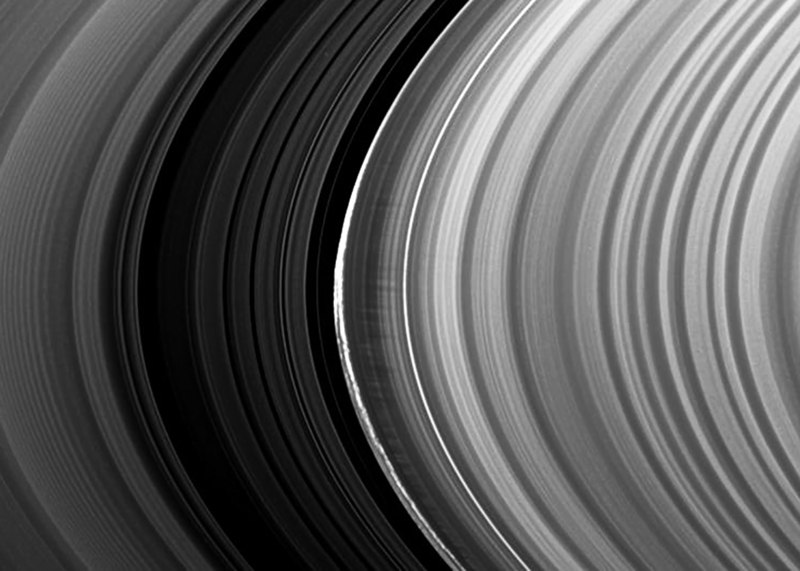 What’s more, the way the moonlets affect Saturn’s B ring is thought to resemble how small clumps of material interacted within the protoplanetary disk that once surrounded our Sun, making Saturn and its rings sort of a miniature model of an infant solar system. The image above may be almost 8 years old now, but it’s still yet another example of the amazing things that the Cassini mission has taught us about Saturn in its 13 years in orbit! Read more about these images here.